Ray Kelly and James Foster have designed a new like kit for the Willesden, and very good it looks too. 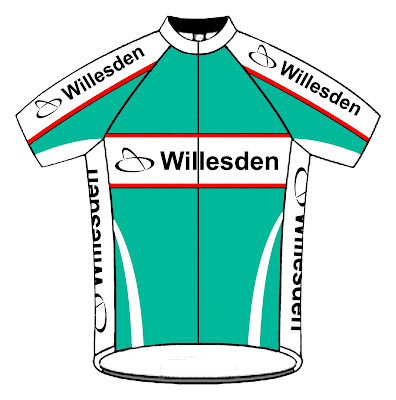 The design has been based on the current strip used by the Barloworld Team. The club name once again returns to our chests, along with a salute to a local land mark! Both designs are of a classic retro look, the main difference being a couple of flattering white “strikes”. The design for the shorts is still under development and will be announced shortly. Are the stripes meant to be ‘slimming’? If so I’ll have an extra slice of cake…..